Publisher: Black Mountain Safety & Health, Inc. Description: Most people have an opinion about exposure to radiation. Their opinion may be based on incorrect information which may lead to an overly casual attitude towards radiation or to an unreasonable fear of radiation. 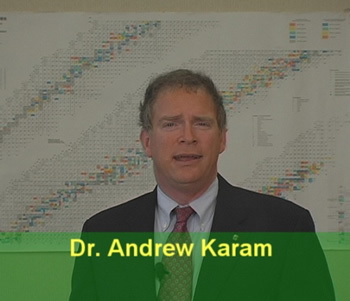 It is the objective of this video to present accurate information about the risks of medical radiation so that the medical community will be able to more accurately assess the benefits of diagnostic and therapeutic radiation in comparison to the risks. •	Radiation produces ion pairs in the body which can produce free radicals that may attack the DNA in cells. •	Damage to DNA may be beneficial (rarely) or neutral or harmful. •	Conclusion - Radiation can cause cancer but radiation is a weak carcinogen and medical radiation, in most cases, produces only a small increase in the risk of cancer thus justifying the use of radiation if some significant benefit can be obtained by the medical use of radiation. 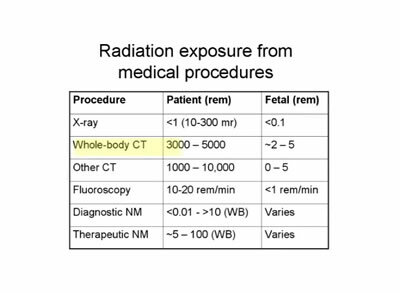 Medical procedures involving fluoroscopy can produce significant doses and special care should be taken to minimize dose with these procedures.